Mother's Day Movie Bouquet From ProFlowers.com...Have you ordered your yet? 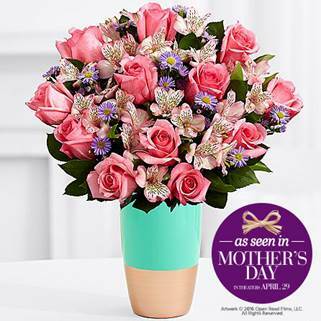 Leading online floral gifting brand ProFlowers will be featured as the official floral partner in director Garry Marshall’s new movie, Mother’s Day. 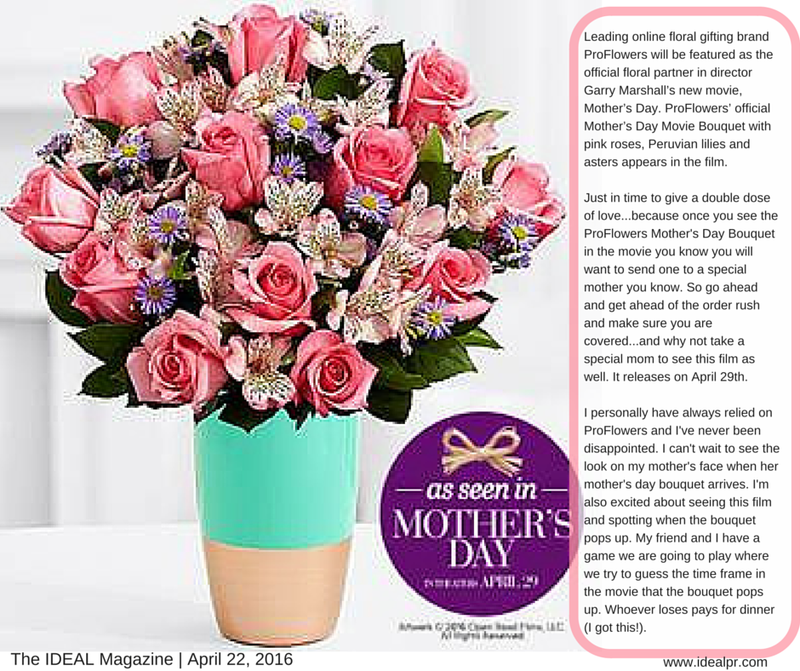 ProFlowers’ official Mother’s Day Movie Bouquet with pink roses, Peruvian lilies and asters appears in the film. Just in time to give a double dose of love...because once you see the ProFlowers Mother's Day Bouquet in the movie you know you will want to send one to a special mother you know. So go ahead and get ahead of the order rush and make sure you are covered...and why not take a special mom to see this film as well. It releases on April 29th. I personally have always relied on ProFlowers and I've never been disappointed. I can't wait to see the look on my mother's face when her mother's day bouquet arrives. I'm also excited about seeing this film and spotting when the bouquet pops up. My friend and I have a game we are going to play where we try to guess the time frame in the movie that the bouquet pops up. Whoever loses pays for dinner (I got this! ).